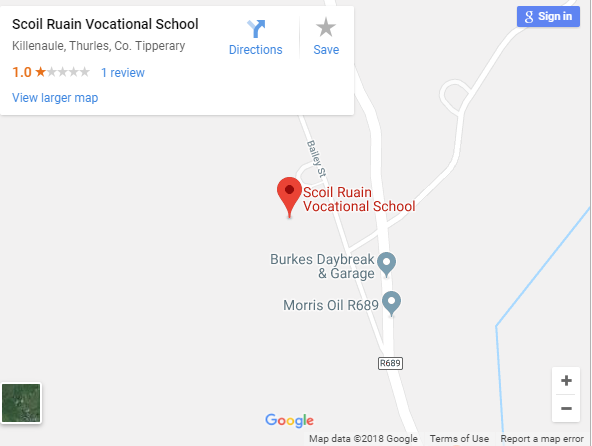 Robert Foley, Manager of Tesco in Thurles and Caitriona McCarthy, HR Tesco Thurles visited Coisceim, Scoil Ruáin recently to present the school with a cheque for their share of the funds from the Blue token scheme operated in their store in Thurles. 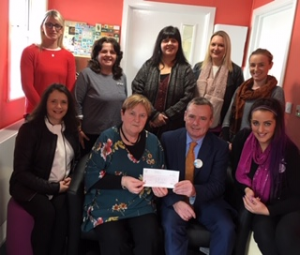 Pictured is Ms. Siobhan Landers, Deputy Principal, who received the cheque on behalf of Scoil Ruáin’s ASD unit Coiscei. Also included in the photo are staff members of Coisceim.